Hamleys is undoubtedly, the most wonderful toy shop in the world. Every morning the fun begins with the age old tradition, of an eager child being chosen to ring the bell and open the giant doors to the toy shop. There’s an infectious sense of excitement, as shoppers are greeted by giant teddy bears, and a man on stilts blowing endless bubbles. The magicians marvel both he children and adults, as the helicopters hover overhead, and remote control cars meander the store, whilst furry pink toy dogs, bark at your feet. The range of vintage, classic wooden toys are ever so charming and the huge lego statues are impressive. With train tracks winding around the periphery of the store, you know you have walked into toy heaven. Imagine how amazing it would be to have a birthday party in one of the world’s finest toy shops. 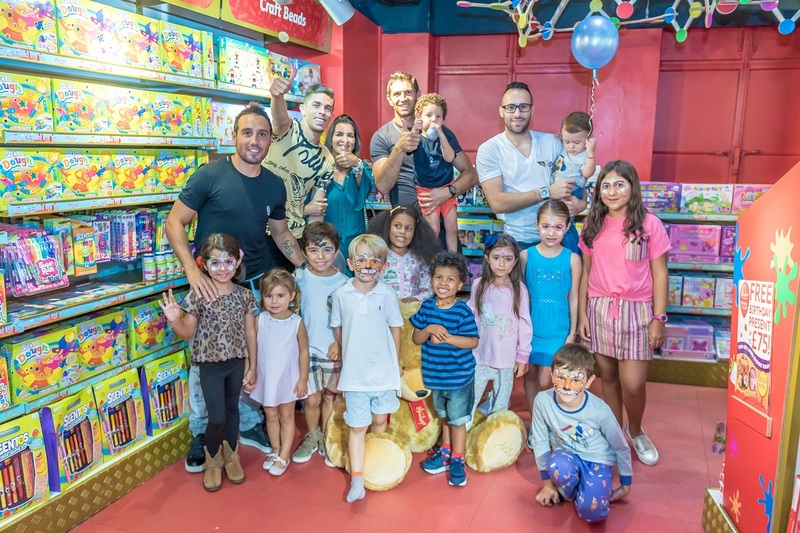 Hamleys have an exclusive party room for birthday celebrations and anything is possible to make it an extraordinary celebration. 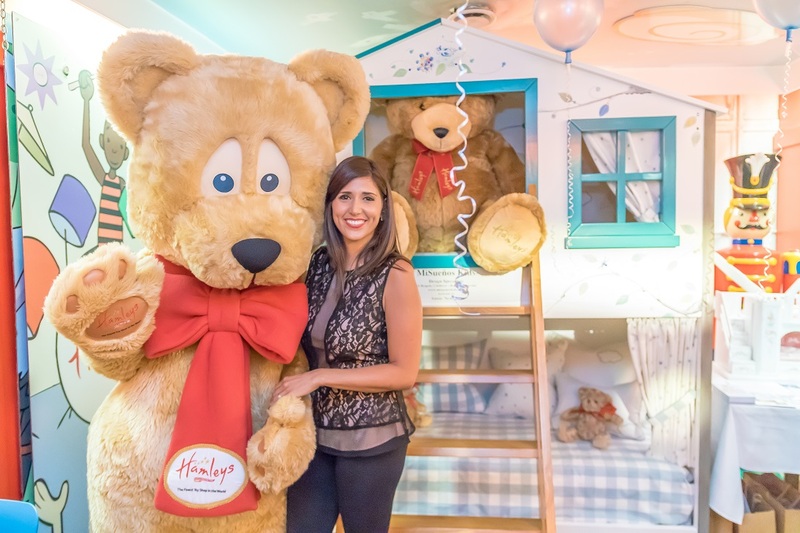 Last month MiSuenos Kids, launched their luxurious, fairy-tale beds in the Hamleys Dream Sleepover Experience. Amanda Gama has masterfully engineered, beautiful castles and playhouse bedsteads. The intricately detailed beds, showcase beautiful artwork, by the talented Annie Newman. The beds take centre stage for the birthday prince or princess to sleep in, but it’s big enough to squeeze in a few friends and the party room can accommodate up to fifteen children in sleeping bags. 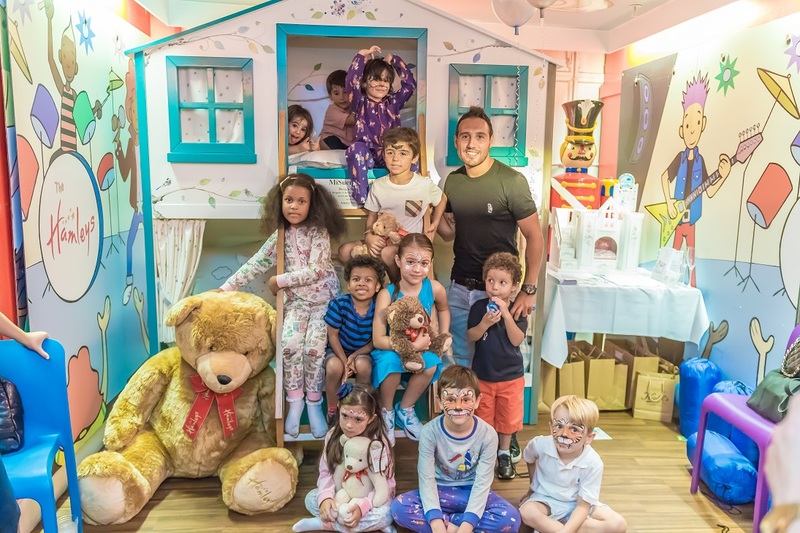 The launch party for the Dream Sleepover Experience had an exclusive guest list with Arsenal footballers, Santi Cazorla, Gabriel Paulista, Emiliano Martinez, and David Ospina and their families. Towie’s Ricky Rayment and X-factor stars, The Brooks twins and of course Concierge Angel were invited to join in the fun. 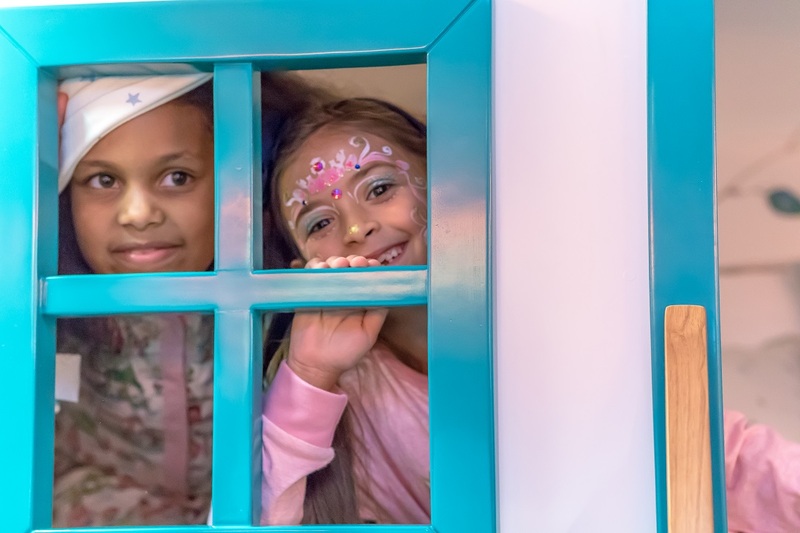 The Dream Sleepover party experience includes a red carpet arrival, a magical toy shop tour, magicians, face painting and even a visit from the Hamleys’ Bear. Kids can takeover the entire store and sleepover, with Gordon Ramsey’s Heddon Kitchen catering the midnight feasts. With free reign over the toy shop after hours, children peering onto Regent Street, waving to Londoners, is only half the fun. 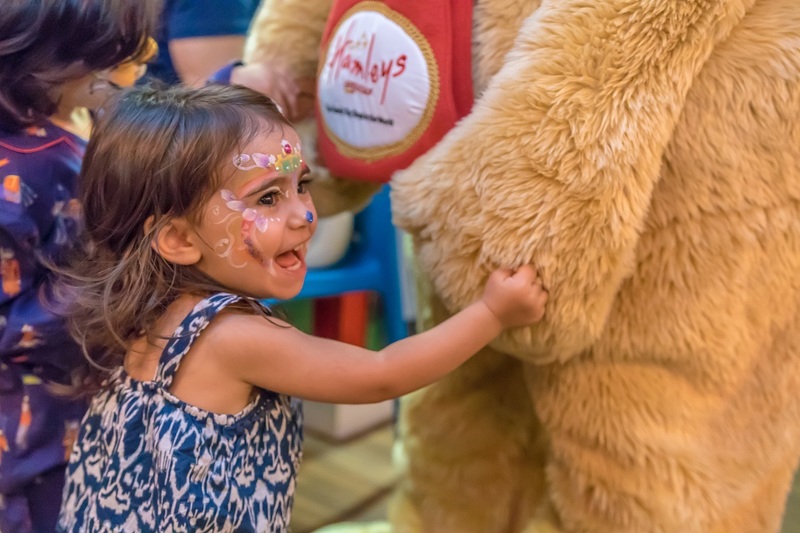 The Hamleys party experiences are ideal for children aged 6-11 years old, but you would be hard pushed to find older children not wanting to get in on the action. Hamleys have the most delightful experience and one cannot help wish to be one of the ecstatic children running around. But do not despair, they can even arrange corporate events for big kids too. Full details of party packages are available on the Hamleys website.